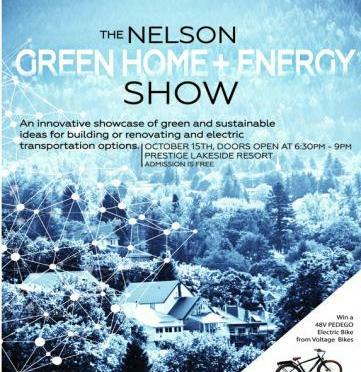 Two weeks ago I was invited to participate in the upcoming 2nd annual Nelson Green Home and Energy Show. Electric vehicles were added to the show this year, and they were looking for ‘EV ambassadors’ – I was thrilled to be invited and confirmed my acceptance. As I implied in my first post to this blog, I want to share my experiences with other people who may be considering EVs, or are just interested in learning more about them. 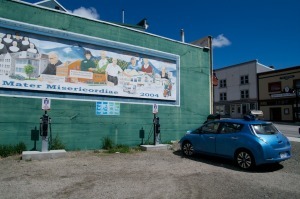 I have already had dozens of positive interactions with individuals when they spot the car charging in public (the City of Rossland has the first Level 2 chargers in the West Kootenays) – I’m sure that I will speak to at least double that number at the show on Wednesday, October 15th. If you have arrived at this blog post after attending the show on Wednesday, I will be posting the figures and tables that I had on-hand, probably this coming weekend.